I need some help here fella's. 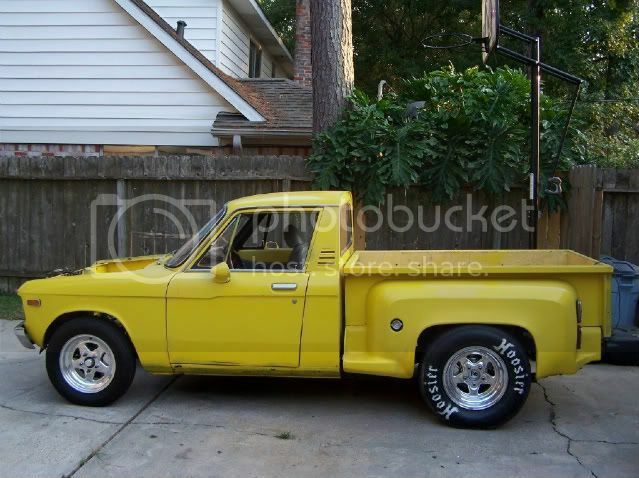 I have a 1981 Luv with a 1985 chevy S10 rear end. I'm trying to find the widest tire and rim combination that will fit up under the bed wheel well. For the life of me I can't figure out this back spacing stuff. I have 5.25 inches from the hub mounting surface to the outside edge of the spring perch and about 5.5 inches to the frame. My guess is a 9 inch tire on an 8 inch rim, but it's the rim fitment that I can't figure out...backspacing...offset...??? Any help, guidance, opinion, experience, will be gratefully accepted. might be able to go 10'' wide with 5.5 bs. Thanks ya'll. We currently have a set of 235/60r15's that came with the Luv, but the rim are hideous. And rusted at some of the weld spots, so they gotta go. Measure from a straightedge across the axle mounting surface to the frame & fender lip, then use the attached backspace chart & the wheel width to determine what will fit. Remember the tire will protrude past the wheel rim at least 1/2" & that under hard cornering the axle can shift sideways a bit.